Wait? Isn't that an oxymoron? Aaaah, middle school, a time when children, like pudgy squeaky-voiced Lauren, discovered the dark realities of my fellow peers that made me claim the moniker. Kids were doing drugs, and 'lil fat Lauren was terrified. See, plain and simple, being Straight Edge is abstaining from drugs and alcohol, but I promise there is so much more that goes into it than that. When you think “drug and alcohol free,” you think of your fifth-grade teacher playing a tape from the '80s on how “Billy smoked one marijuana cigarette, and now he’s in a coma with no arms and legs.” This is not what I think when I think of being drug and alcohol free the Straight Edge way. First of all, if you know someone that swaps out the most important meal of the day with the mysterious catch-all that is “drugs”, then you need to call their mother right now and let them know what’s up with their kid. Second of all, yes, the “drug and alcohol free” that I think of is when bands are so devoted to the music, that they cut out all of the clutter that surrounded their scene and cleaned up their acts to have the clear mindset and healthy bodies they needed to overthrow capitalistic suburbia with their music and attitude. The movement began in D.C. when punk bands began to split off from the scene by identifying themselves as Straight Edge bands. 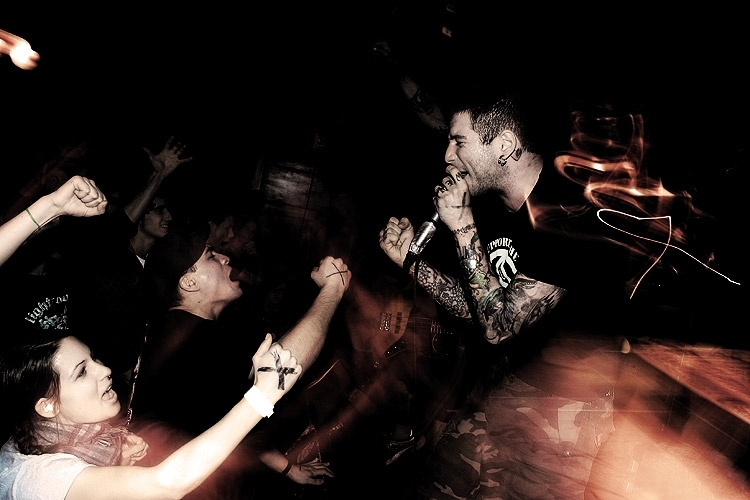 While both communities had the shared values of living for now, not conforming to society, and not participating in societal duties like work and school, a division could be seen in the Straight Edge’s new focus on anti-inebriation lyrics, use of shouting rather than singing those lyrics, and continual active abstinence from drugs and alcohol. A few sub-cultures arose from the main split, such as short-lived Bent Edge culture (a less-strict straight edge), Militant (or hardline) Straight Edge culture (even more strict about being Straight Edge and sometimes violent about enacting their beliefs on others) and the beginnings of Youth Crew. Youth Crew focused on more of a heavy-metal rather than punk sound, and it also features the addition of vegetarian/veganism in the rules of the scene. Youth Crew would become the beginnings of the modern-day Straight Edge. With the ideals of being Straight Edge comes our community’s sign-- the X. If you’ve ever gone to a concert or event that served alcohol while you were still under-age, then you’ve probably seen the X. Sometime in the '80s, an under-aged band, Teen Idles, was almost denied entry to play at a venue because of it's attached bar. Management worried about the minors being confused for 21+ adults and obtaining booze. So, the band and management compromised, and they agreed that the members would get black Xs Sharpie-d onto the backs of their hands to show the bartenders they could not be sold to. The Xs were then featured on the band’s Minor Disturbances album, continuing the anti-drinking connotation while the act of marking minors continued to be used to prevent underage drinking at gigs. The Straight Edge community claims the X as a sign of our abstinence from all of our respective clutter-- whether it’s the classic drugs and alcohol or as specific as caffeine and meat. In my particular case, I am a Straight Edge because life is too precious to not take in fully. The blessing of life is too fragile to not want to appreciate and experience every seemingly minute, but truly important, detail. I also don’t want caffeine-dependent headaches. So yes, I am a Straight Edge. No, I would not like a drink. And yes, I would be happy to re-explain what Straight Edge is to you again.